In 1993, Mike and I decided to leave our city lives behind and buy Belle Meade Farm. The Kilby Family had owned the farm for 90 years. The farmhouse was in benign neglect; the land was tired and in need of replenishing. We looked at each other and wondered where to begin. Clearly the house needed bathrooms and heat, so we began the renovation project. We then created a plan to establish a day camp but kept our city jobs so we could get financing for our dreams. In 1994, we opened our day camp, and I resigned from my job as a mathematics resource teacher in DC Public Schools. A new era began. In 1995, we opened our bed and breakfast. By the mid-90s we began talking to the neighbors about purchasing the schoolhouse nextdoor. 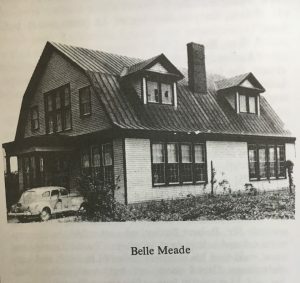 Belle Meade School operated as a local, public school in Rappahannock County during the early 1900s until it was closed in the late 1950s and eventually sold to the Kilby Family in the 1960s. Our neighbor, Billy Kilby, the youngest of the eight children who had grown up in the area and attended school, was in his 80s at the time. He liked the idea of children returning to the schoolhouse. In 1998, we became the owners and the project began. In 1914, route 231 had been a lane for horses, carriages, and an occasional automobile. 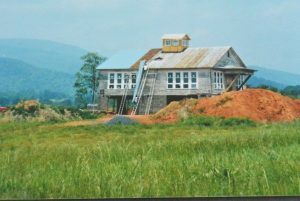 The schoolhouse needed to be moved back from the road, and it needed plumbing, heating, bathrooms, and a kitchen. We found lighthouse movers from the Eastern Shore to tackle the project. 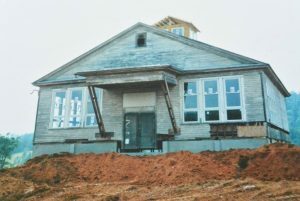 The project of moving the schoolhouse and constructing the lower level began in 1999 and was completed in 2003. In 2000, a friend and I undertook setting up a 501(c)(3). My original thought was a part-time school for homeschoolers, and my plan was to work part-time. Mike and I were invited to a gathering held by Mountain Laurel Montessori School. They were seeking a location for a seventh, eighth, and ninth grade farm school. Ironically, some of our camp parents had suggested that Mike and I visit Hershey Montessori Farm School in Ohio, and we had made the trip the previous year. 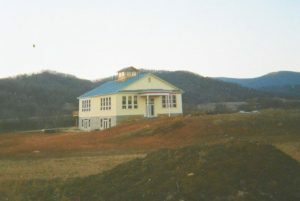 The Mountain Laurel director and head teacher visited our newly-renovated schoolhouse, liked the schoolhouse and the farm, and decided to begin their school here in 2004. 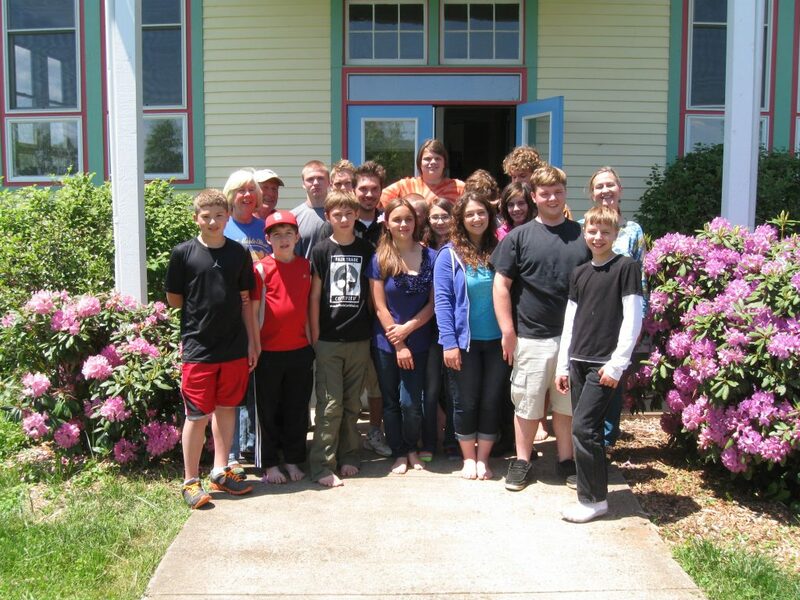 For three years, we worked closely with the teachers and students of Mountain Laurel. At that point, they decided that they wanted to own their own school and farm; therefore, in 2007, Mike and I decided to open our own school for grades 6-9, and we maintained Montessori principles. Within a few years, students suggested that our school go through high school. We quickly decided that the idea made sense and declared Belle Meade School a full secondary education program (grades 6-12). In 2013 we celebrated our first graduate, David Gerrish, and recently celebrated our 10th Anniversary. In 2017 we decided to officially claim our connection with Montessori.